The home contains elements of both Greek and Colonial Revival details. The pediment facade facing the street with wide eave trim boards hint at the Greek revival period. 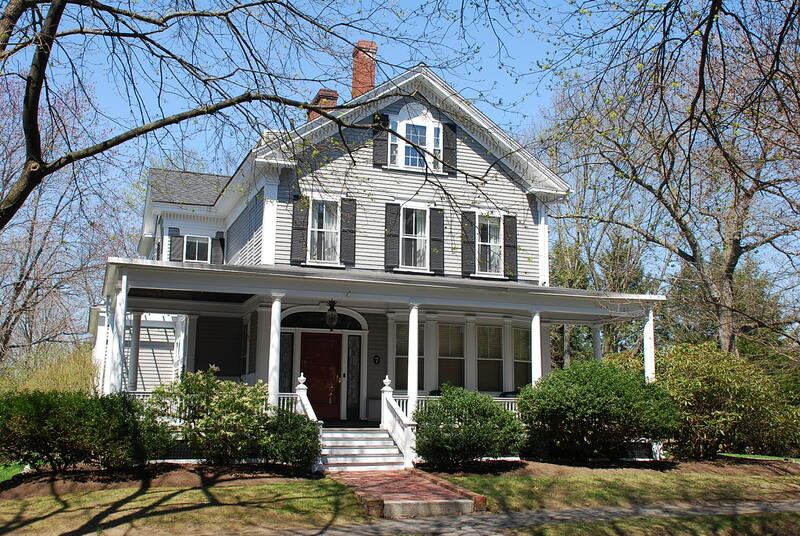 The dentil work on the eaves, entrance door with side lights and fan above, an implied Palladian window in the front gable and front porch with Classical columns are all Colonial revival elements. This home has kept all its original details intact and well preserved over the years. The home was built on land acquired from Luke Bowers on June 28, 1883. The property however came with a land restriction; “shall erect no shop or building thereon that shall be prejudicial to the neighborhood of good and respectable dwelling houses”. Susanne E. and Carrie R. Jackson, daughters of the Rev. Samuel C. Jackson, must have taken this to heart when they had the home constructed. Their brother William True Jackson and his wife Mary S. resided here until a few years after his death in May 1901. On July 8th, 1908 Phillip F. Ripley & wife Mabel B. became the new owners and it remained with the family for over 40 years. Mr. Ripley was a chemist in Lawrence. Abbot Academy purchased “Ripley House,” as it was then known, in the 1955 and used it for faculty housing. 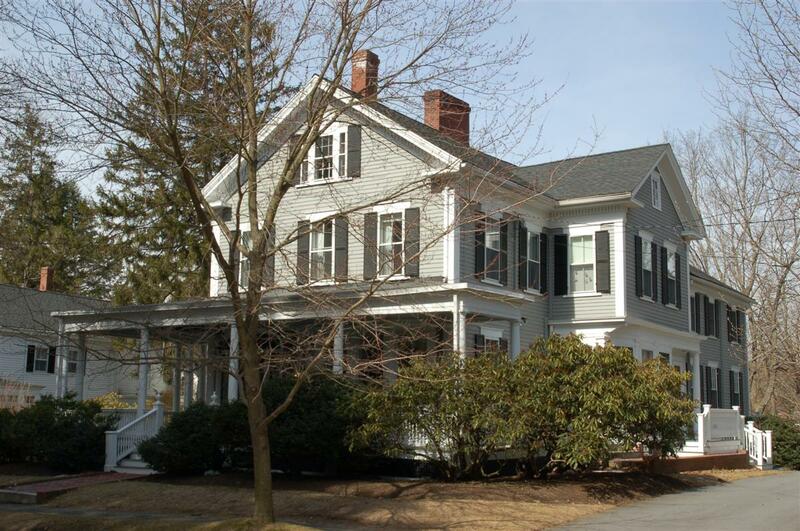 With the merger of Abbot & Phillips Academy in 1973 the house was deeded over to the Trustees of Phillips Academy. The home was later sold to J. Larry & Nancy R. Jones on June 29, 1978. Six years later on June 29, 1984 Samuel S. & Ann G. Rogers acquired the property. They lived here 14 years before selling to the current owners James W. & Mary M. Pannos on July 1, 1998. George Ripley was treasurer of Abbot Academy, 1900-1901 and president of a Boston Bank. Susanna E. & Caroline R. Jackson – June 28, 1883 b.72 pg.160 -$6000. Samuel S. & Ann G. Rogers – June 29, 1984 – bk. 1830 pg. 157 - $272,000. Acreage less than one acre; 23,800 sq. ft.; approx. frontage 132"